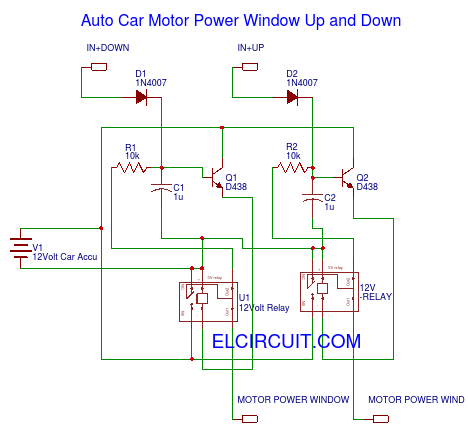 This Auto Car Motor Power Window circuit is working on simple timer circuit using transistor, How the Car Power Window work with automatic up and down for once toggle switch? its simple on Power Window using a motor to drive a power window regulator up and down. So the car window can auto move. If there is broken on the timer circuit, you can using this circuit. This circuit works on a car battery voltage of 12 volts.